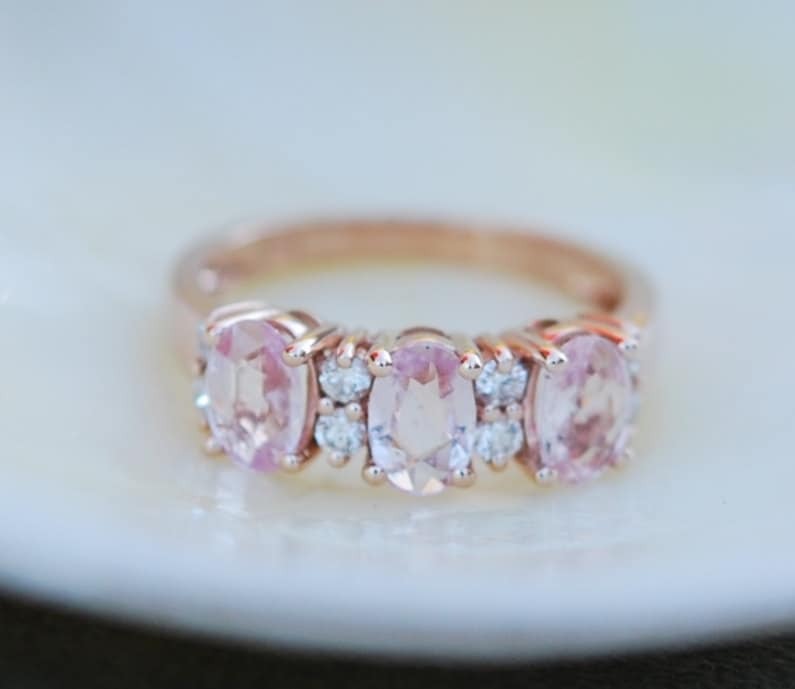 Peach sapphire anniversary ring 3 stone ring 14k rose gold diamond ring by Eidelprecious. Peach sapphire anniversary ring by Eidelprecious. The ring features 3 oval peach sapphires, approx. 4x6mm each, total carat weight of the sapphires is 1.4ct. These sapphires are unheated, sparkling and clean. The setting is 14k rose gold. Accented stones are white diamonds, 2mm each, 8 diamonds in total, SI/H, full cut TDW approx. 0.2ct. 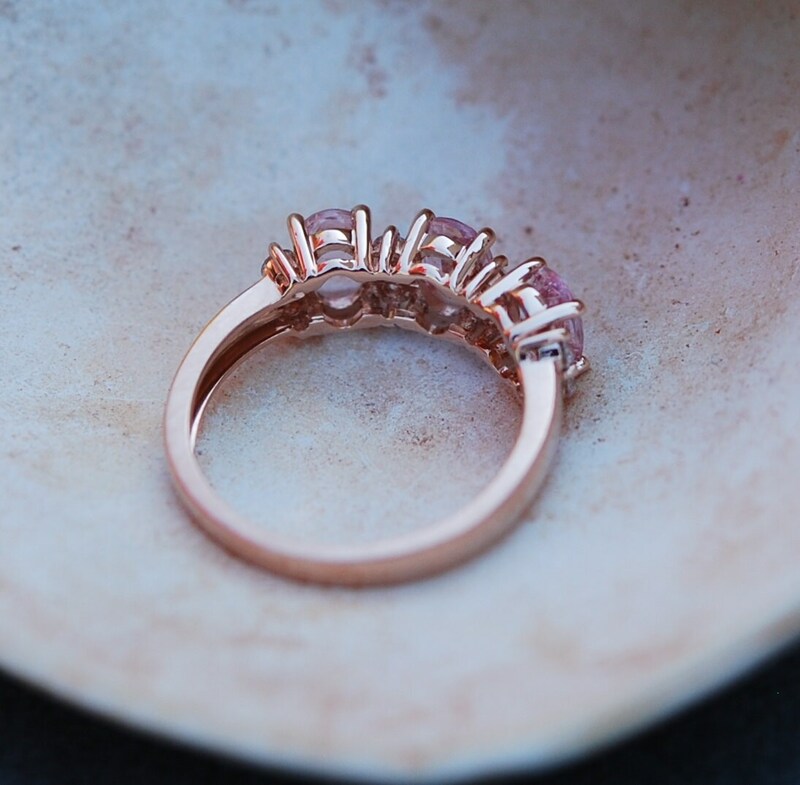 This ring would make a perfect anniversary gift for someone who owns a Peach sapphire engagement ring or any rose gold e-ring with a clear stone.